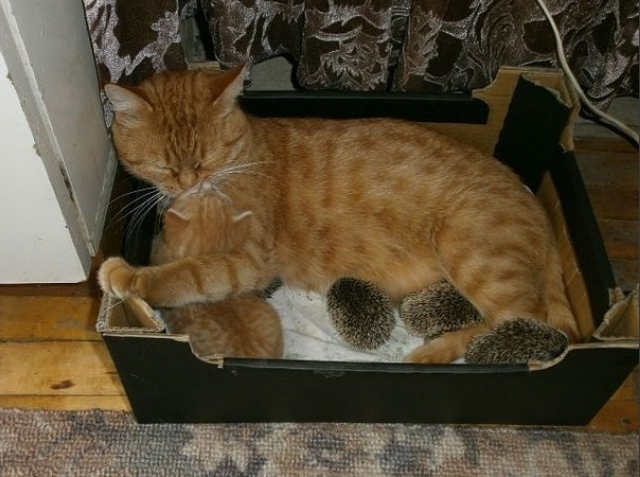 There's just no substitute for a mother's love, as this caring cat proves by playing surrogate mum to an adorable litter of orphaned hedgehogs. 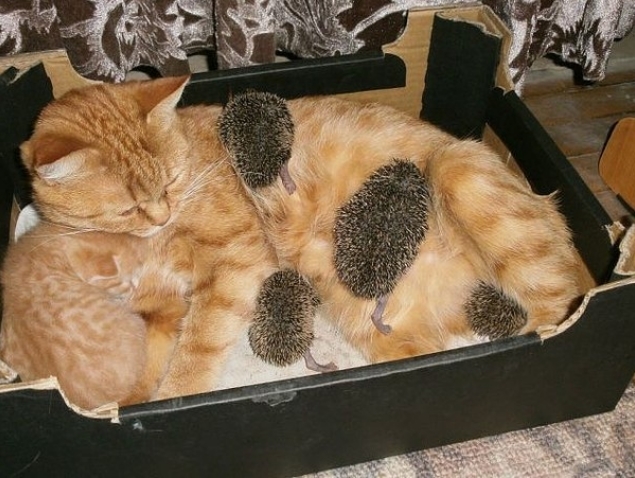 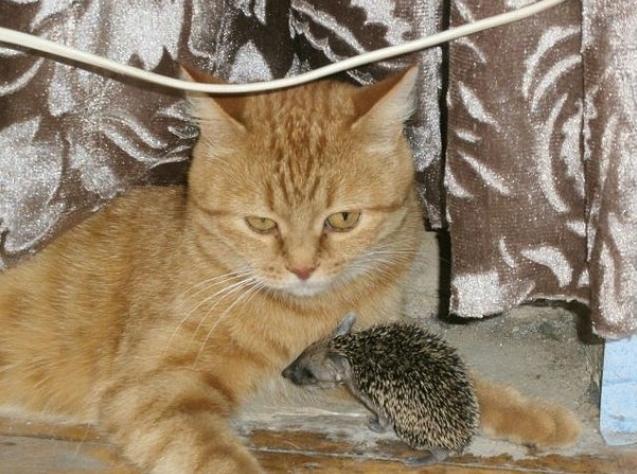 Sonya, the ginger cat from central Russia, only had one kitten of her own meaning there was plenty of milk to spare, so she readily adopted the four baby hedgehogs into the family. 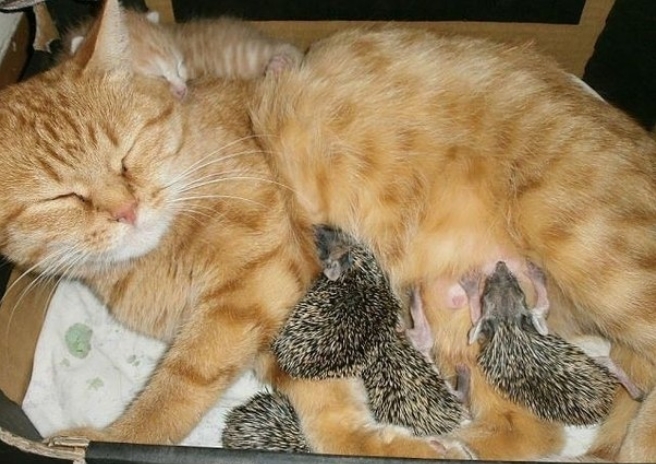 She treats them, exactly as if they were her own, allowing them to suckle to their hearts content and then snuggle up to sleep in her fur when they're full.It is common practice for abandoned animal babies to be placed with surrogate mother's of the same species to avoid re-abandonment at a later date - but sometime a mother of the same species just isn't available. 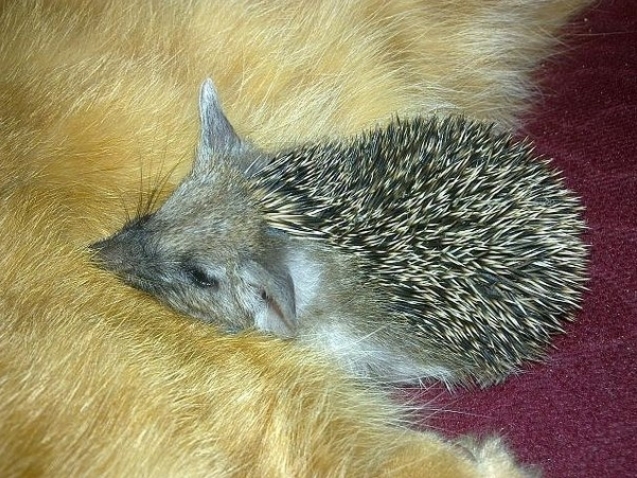 There are cases of cats adopting rabbits, racoons, squirrels and even, in the case of a cat named Smaigel from Jordan - puppies as their own children, but this is the first time we've heard of one adopting hedgehogs. 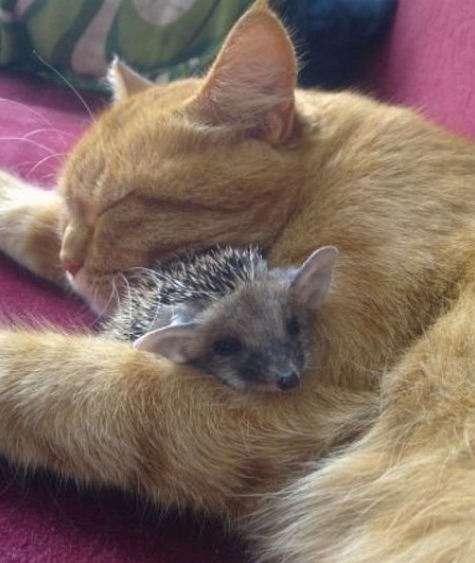 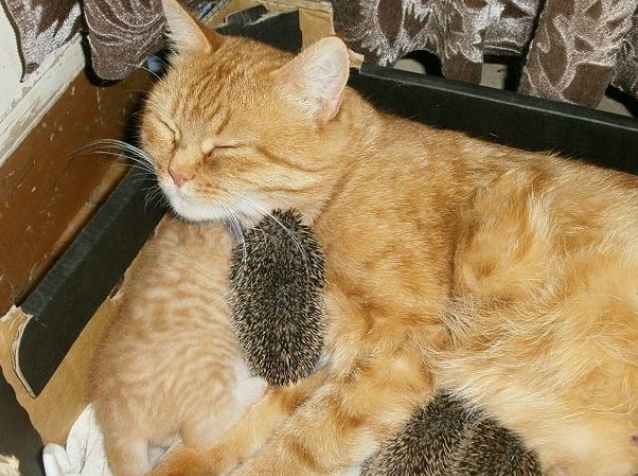 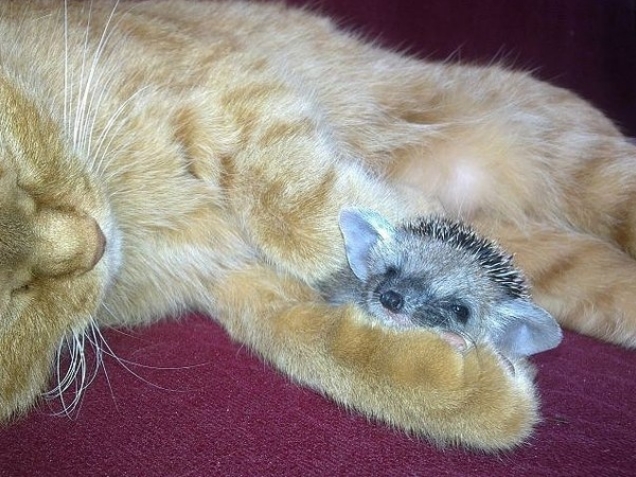 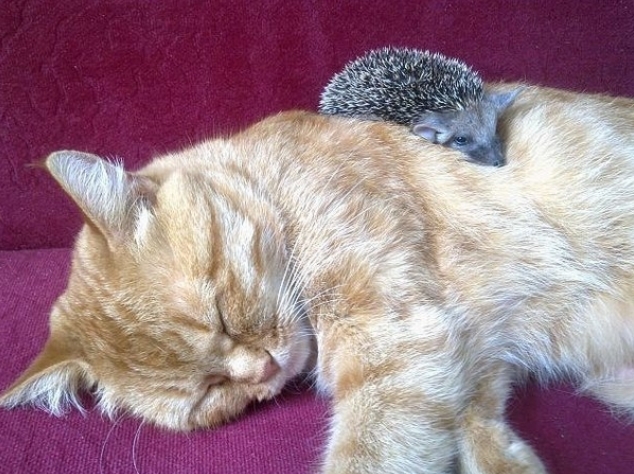 Responses to "Caring cat becomes surrogate mother to prickly orphaned hedgehog babies"